DETROIT -- General Motors is in talks with two potential buyers of its Hummer brand as the automaker continues to sell assets to raise cash, said two sources familiar with the matter. The negotiations are with a private-equity firm and a Chinese company, said the sources, who declined to be named. The sources declined to name the potential buyers because the effort is private. The discussions were reported earlier by Bloomberg News. GM, which hasnt posted an annual profit since 2004, put Hummer up for sale in June as sales plunged amid soaring gasoline prices. A global financial crisis later in the year heightened GMs cash needs, forcing the automaker to seek federal loans to stay afloat. 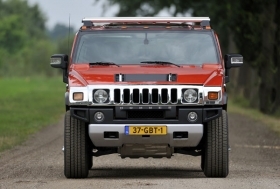 GM would like to get $500 million for Hummer, a third source said. There continues to be interest in the brand, said spokeswoman Joanne Krell. She said GM will likely provide an update before the end of the quarter. On Tuesday, Feb. 17, GM is scheduled to submit a restructuring plan to the Treasury Department to preserve its $9.4 billion in U.S. loans and secure another $4 billion pledged by former President George W. Bush. As part of a Dec. 2 report to Congress, GM repeated its intent to sell Hummer while saying it intended to shed Saab and explore options for Saturn. Separately, GM is intent on securing money from the Swedish government to fix Saab, said one of the sources, without discussing an amount. GM is asking Sweden to guarantee $600 million in European Investment Bank loans, according to Bloomberg. The Detroit parent has committed $400 million to launch Saabs 9-5 large sedan and 9-4 crossover over the next year, the source said. GMs plan is to use any Swedish funds along with the $400 million to keep Saab operating and restructure it for an eventual sale, both sources said.